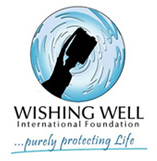 Deerfield Beach, FL – January 15, 2015 - Wishing Well International Foundation (WWIF) announces that Mark G. Bertler has joined the WWIF team as a member of the Board of Directors and VP of Marketing. He has over 25 years of experience in the water, wastewater and environmental industries including senior executive positions with numerous Fortune 500 companies such as Pentair, Sta-Rite Industries and US Filter. Once again, we’ve been inspired by the selfless and ambitious efforts of Delaney Hill. For the second time in three years, the Lighthouse Point, FL, teenager asked friends and family to contribute to the cause of clean water instead of giving her birthday presents, resulting in a big splash of support and donations. Deerfield Beach, Florida - November 15, 2013. Filtrex and HaloSource have committed to sponsoring the WWIF–FWQA 2014 Golf Tournament to be held in Orlando on March 18, 2014 during the upcoming WQA Aquatech Annual Convention and Trade Show. The commitment was made at separate meetings during the recent Aquatech trade show in Amsterdam.